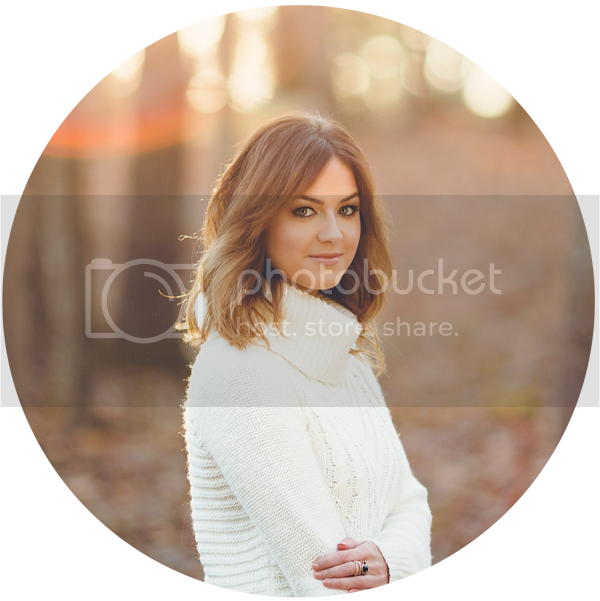 Please disregard the link above ;) I linked my blog to bloglovin so non-google users may follow my posts! Hi Everyone! As you all probably know, I'm more of a natural and neutral girl when it comes to my makeup, especially my eye makeup. Since dying my hair red, I've branched back out into my old "Smokey Eye" world. I know some readers may be interested in more colorful looks so I hope this helps! Enjoy! Maybelline Color Tattoo (Painted Purple or Pomegranate Punk): I think it's safe to say that I LOVE the Maybelline Color Tattoo cream eye shadows. The pigment is amazing and the fact that they allow your shadows to stay on all day is an added bonus. If you want your purple shadows to pop, I would suggest starting out with "Painted Purple" for more of a cool undertone, or "Pomegranate Punk" for more of a subtle warm undertone. Tarte emphasEYES Black Gel Liner: For an intense long-wearing black liner, I love reaching for my Tarte emphasEYES gel liner. The staying power is awesome and the eye liner brush is perfect for precision, but also creating a smokey-smudged effect with the denser end. Bare Mineral's 4.0 READY Eye Shadow Quad in "The Dream Sequence": This quad screams "purple heaven". 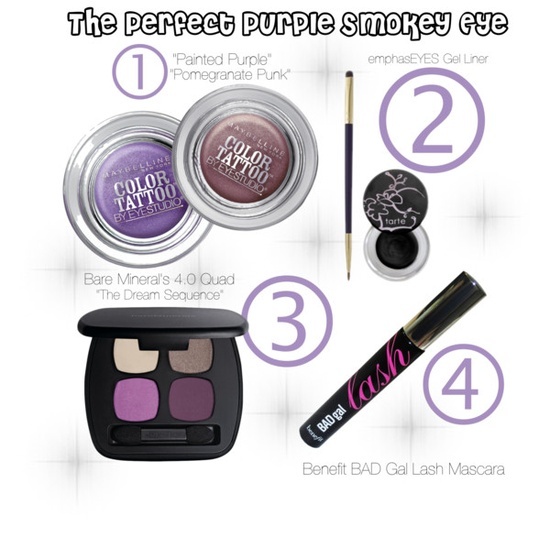 It has every shade you need to achieve a subtle purple look or a rich smoldering purple eye. The variations of purple definitely make this palette unique! Benefit's BAD Gal Lash Mascara: Bad Gal Lash is hands down, one of my favorite mascaras. I love going to this mascara when I want thick and full lashes. The rich black pigment never fails to make an impression. Just in case you were wondering, this is an example of how I wear mine! All colors and products can be altered to what you have in your own makeup bag. Do you guys like these quick Friday Beauty Series? Let me know and I'll keep it up! I think they are a fun and quick read that can introduce you to new products and new makeup combinations. Thanks for reading! Thanks for the positive comments :) Glad to have you as a reader! If you're looking for an excellent contextual ad network, I recommend that you check out Chitika.